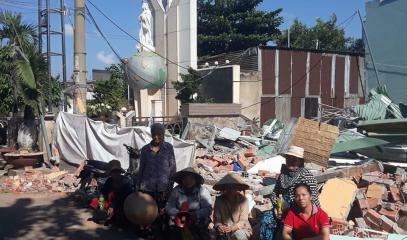 Communist authorities demolished at least 112 homes in Lộc Hưng on land owned by the Paris Foreign Missions Society. For the bishop emeritus of Kontum, even if they treat “us with cruelty, we continue to love them as our brothers and sisters." 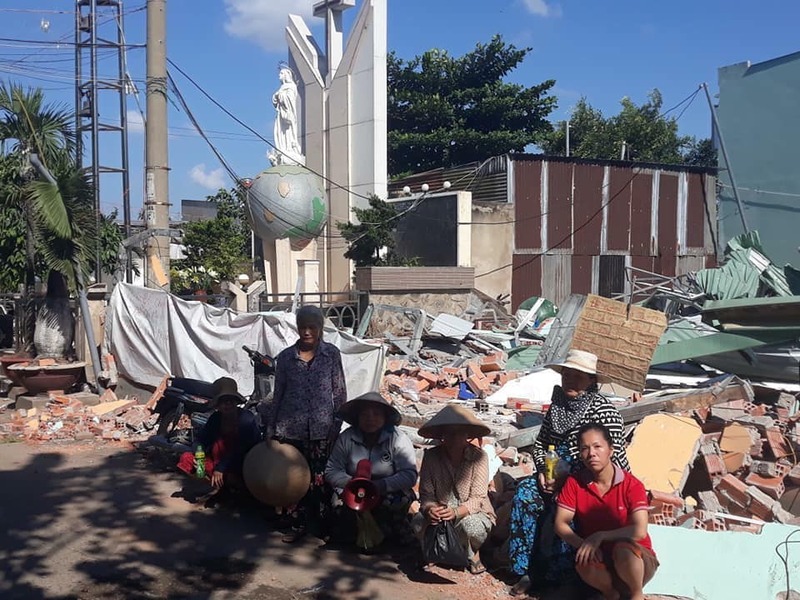 Ho Chi Minh City (AsiaNews) – As Vietnam stops for the traditional Tết celebrations (Lunar New Year), some 200 Catholic families forced out of Vườn Rau Lộc Hưng" (Lộc Hưng Garden) prayed to Our Lady and found comfort in the visit of Mgr Micae (Michael) Hoàng Đức Oanh, bishop emeritus of Kontum (central Vietnam), who urged them to offer their sufferings to God, who is a shining light for us. 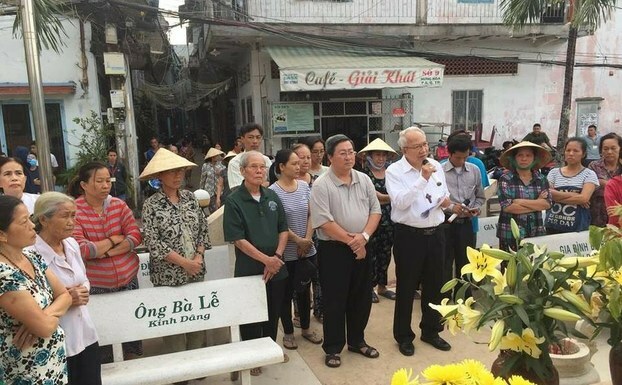 The Lộc Hưng Garden is an area where, in 1954, priests and missionaries of the Paris Foreign Missions Society began welcoming poor families, students, former prisoners of conscience and ex South Vietnamese soldiers, many of them from northern Vietnam. Here they built their homes. 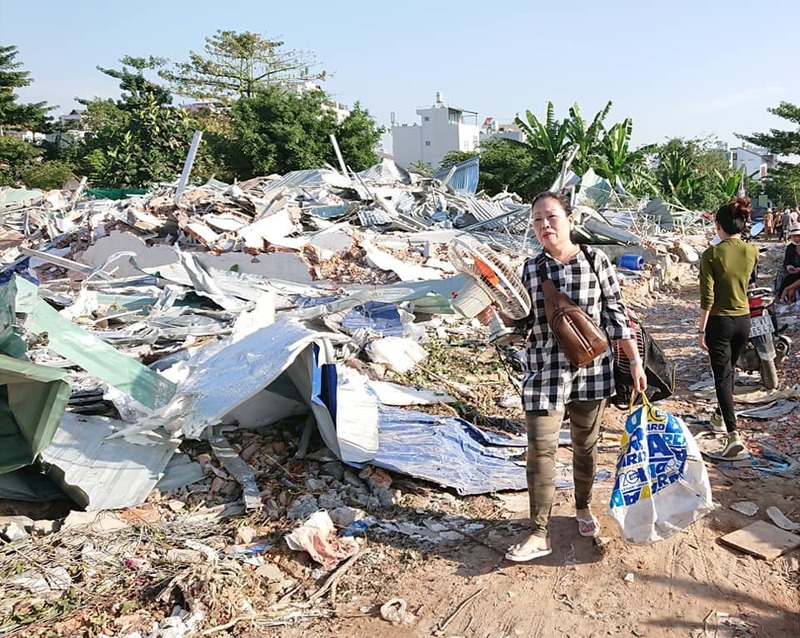 On 4 and 8 January, the Ho Chi Minh City People’s Committee and the Tân Bình District People's Committee sent 300 police officers to tear down the houses. At least 112 were demolished. The area is in a central location, and its land is highly valuable for municipal authorities and certain interest groups that want to speculate. 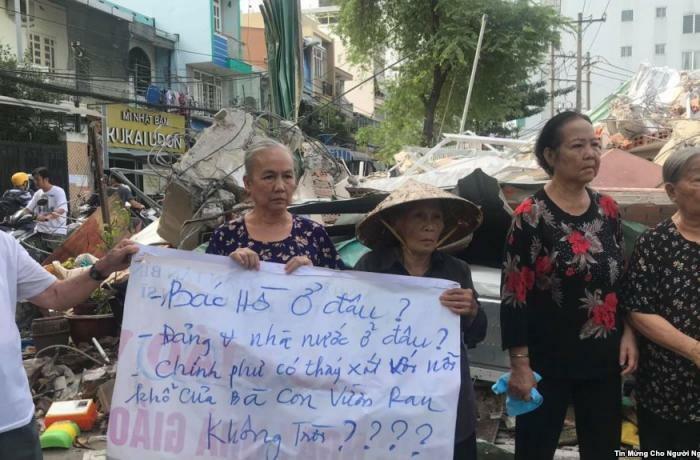 Lộc Hưng residents have been offered compensation but it is too small to enable them to be relocated elsewhere. Instead, after being expelled, they found themselves on the street, forced to be dân oan, petitioners of hopeless petitions. Ms Teresa H, who lived at the garden, spoke to AsiaNews. 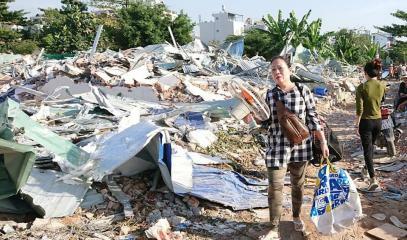 “They (The authorities) destroyed all our houses on the eve of Tết. Now we have to stay on the street. Where is the law in Vietnam?” she wonders. 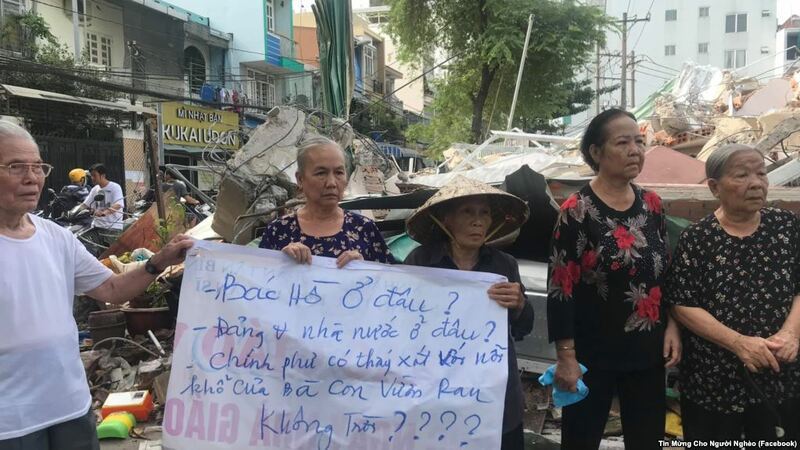 The City failed to “comply with Vietnamese law. After emigrating to southern Vietnam, my parents moved here in 1954, where we lived for four generations. Now, we are renting land in a cemetery." She is not alone. Many other residents "believe that the behaviour of the local government is very bad. This year we do not have Tết to celebrate. Every evening we meet again at the statue of Our Lady to pray and share among us the words of the Lord. In 2019, we will continue to go to state agencies to appeal and seek justice and fairness." "There is no happiness in this Tết,” said Mr Joseph Binh. “As a father of three children, I feel sad and left out in this modern city, which lacks compassion and love. We rely on priests, who care about us and comfort us in such a difficult circumstance." "Responding to our prayers, God sent us Mgr Micae Hoàng Đức Oanh. He visited us, and encouraged us this Lunar New Year. He also prayed with us next to the statue of Our Lady Mary. Our bishop donated 'lucky money' to the faithful who participated in the prayers and to all the families who lived in the community." During the visit, the bishop emeritus of Kontum celebrated a mass with Lộc Hưng parishioners. "In this complicated situation,” he said in the homily, “we must keep our faith in God, and listen to the Lord's words every day. “We face many difficulties, but at the same time we are called to love and have compassion for others. Although Party cadres and local authorities have treated us with cruelty, we continue to love them as our brothers and sisters."